I've been looking forward to the big-screen adaptation of my favorite musical of all-time since the announcement was made that Tom Hooper (The King's Speech) would be directing. One-by-one, the casting announcements for Les Miserables only peaked my interest. I finally got to see the movie over the weekend and I must say that I was a bit disappointed While most of the movie was excellent and true to the play, I felt that a few added scenes and songs were unnecessary and helped bloat the movie to it's 2.5-hour runtime. Most of the cast sings their hearts out and Hooper's unique directorial choices help make this film a must-see holiday movie. For those (few) of you who haven't seen the award-winning Broadway musical, the story of Les Mis takes place during the French Revolution and chronicles former prisoner Jean Valjean (Hugh Jackman) as he redeems himself from past crimes and tries to avoid the clutches of his arch nemesis Inspector Javert (Russell Crowe). Several side-stories are intertwined featuring a love triangle between Valjean's adopted daughter Cossette (Amanda Seyfried), a revolutionist named Marius (Eddie Redmayne) and his friend Eponine (the powerful Samantha Banks in her first ever movie role). Cossette's mother Fantine, featured earlier in the story, is played by the movie's brightest star, Anne Hathaway. Throughout the musical/film, a variety of amazing sweeping songs are performed. I believe that the music of Les Mis is by-far the best collection of songs featured in a single musical. Hooper made the decision to film his actors with live music playing in an earpiece so they could sing their lines live on film to the music. In the past, musicals were shot with vocals recorded on separate tracks and synched to the actors mouths during the filmed scenes. Hooper's method results in a truly unique and powerful performance that allows Jackman, Hathaway and company to deliver raw emotion during the songs. Two numbers in particular stand out. Valjean's opening song in the church is totally raw and amazingly performed by Jackman. His face convey's the mental dilemma that his character is facing and it's hard to believe that most of the song occurs in one single take. Hathaway's "I Dreamed a Dream" is even BETTER as you get a totally uninterrupted single shot that zooms in on her face during one of the low points of Fantine's story. The pain and suffering she emits in 4 minutes of film are enough to make her a virtual shoe-in for Best Supporting Actress. I was blown away at how effective the close-up singing was at immersing the audience in the story and songs. Mixed in with the amazing performances of Hathaway, Jackman, Redmayne and others are a few songs that miss the mark. Crowe is just simply outclassed in this film. He may be a good lead singer of his side-gig band but here his voice is not powerful enough to carry some of the epic songs that Javert needs to sing. "Stars" in particular (one of my favorite songs) becomes a meek and unimpressive number when in the care of Crowe's voice. Helena Bonham Carter and Sacha Baron Cohen play the mischevious Thenardier couple as if they are fresh out of Sweeney Todd and the rest of the supporting cast is adequate enough. Visually, Hooper's team does a great job with set design and cinemtography as well in painting a vivid picture of revolutionary France. I saw this movie with my lovely girlfriend who hadn't been exposed to the play before. She absolutely loved the movie and I think the primary reason was that she had no prior play experience to compare it to. Since I was comparing every song to the original London cast version on stage, some of the songs were underwhelming to me. I also noticed that extra lines of dialogue were added to add context to the story. These extra verses were sung throughout to the tune of songs that had been performed already. I think the movie would have felt tighter and better paced if some of the added content was removed. I also would have liked to see another actor in the role of Javert. Crowe is still a quality actor but this just isn't the role for him in my opinion. All this being said, Les Mis on the big screen is worth the price of admission and it really is a unique and rewarding experience to be able to see the actors deliver intense performances by singing live to the camera. This movie will deservedly win a few Oscars in 2013 and I think Tom Hooper definitely did the musical justice, but I can only give this movie 4 JRs out of 5. NOTE: I will not be able to give my annual year-end top 10 movie list until AFTER I have had a chance to see Zero Dark Thirty. Katherine Bigelow's film opens nationwide on January 11th and I will see it shortly thereafter. 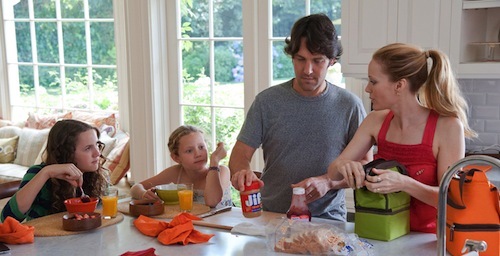 In a somewhat-sequel to Judd Apatow's Knocked Up, This is 40 gives us a realistic (and sometimes hilarious) look at what it's like to reach mid-life. The movie is a bit too long and has a few jokes that fall flat, but contains enough signature Apatow moments and some solid performances from an excellent ensemble cast to make it slightly worth seeing. However, Paul Rudd delivers yet another solid comedic effort and that-alone makes it worthwhile for me (slightly upping my JR rating). Rudd and Leslie Mann play Pete and Debbie, the troubled couple from Knocked Up (Debbie is Katherine Heigl's sister in that film) that both find themselves approaching the big 4-0. Finances, careers and kids all combine to through extra pressure on their marriage. Through a sea of curse words and some solid adult humor, we get to see Rudd and Mann play off each other and embody what it's like to go through mid-life problems. As a late thirty-something myself with kids, I can relate to a lot of the situations that they go through. The problem with the movie is that the rest of what made Knocked Up such a good movie is completely removed. Seth Rogan and company made that movie so funny and there just isn't enough LOL moments in this film to raise the comedic bar. Rudd and Mann do what they can though and really do have some chemistry together. John Lithgow shows up mid-way through the film as Mann's father. I haven't seen him in a film in a long time and is a welcome addition to this cast. He gives a muted and genuine performance as a reclusive parent who isn't really sure how to connect with his daughter or grandkids. After Rudd, Lithgow is the highlight of this movie for me. Albert Brooks and Jason Seigel chip in as well to bolster a talented cast. Apatow and Mann use their own kids in the movie once again and it really adds to the authenticity of watching Debbie interact with her actual children. Surprisingly this is only the third major film that Judd Apatow has directed (After Knocked Up and 40 Year Old Virgin). It is definitely the weakest of the three and makes me start to consider the revelation that Apatow is a better producer/writer than he is a director. Despite some slow parts, This is 40 is still a relevant movie for someone my age and is quite enjoyable at times. A lukewarm 3 out of 5 JRs for this movie. I would recommend waiting for DVD on this one. As the loyal readers of The Jordan Movie Blog will certainly know, Peter Jackson's Return of the King is my favorite movie of all-time (narrowly edging out Aliens). When I heard that Jackson was once again returning to Middle Earth (New Zealand) to film The Hobbit, the prequel to J.R.R. Tolkien's Lord of the Rings trilogy, I was giddy with anticipation. Despite Jackson and company's decision to take the book and adapt it into a three-movie arc, I was confident in Jackson's vision and track record. Having seen The Hobbit: An Unexpected Journey on opening day in the groundbreaking 48 frame-per-second format that Jackson intended it to be seen in, I have to say I was happy with my return trip to the Shire. The Hobbit focuses on Bilbo Baggins (uncle to Frodo, the hero of the LOTR trilogy) and his reluctant quest to join a band of dwarves in an attempt to reclaim a lost fortune from a ferocious dragon. We see see a glimpse of the dragon towards the end of the movie but all of the dragon CGI goodness seems to be destined for the next film in this series. The bulk of An Unexpected Journey centers on the dwarf posse as they move from the Shire on their trek to The Lonely Mountain. Along the way we get several epic battle sequences and a few choice genuinely funny moments including an excellent scene where the group gets captured briefly by a trio of hungry and clueless trolls. The dwarves are led by Thorin Oakenshield (newcomer Richard Armitage in a commanding performance) and feature a hodge-podge of members that vary in shape, size and facial hair. British actor Martin Freeman fills the shoes of Ian Holm as Bilbo. His character is a bit wishy-washy throughout but Freeman does a great job of playing a character who is a bit out of his element throughout. Returning from LOTR are the welcome faces of Ian McKellen (Gandalf), Elijah Wood (Frodo), Cate Blanchett (Galadriel) and Hugo Weaving (Elrond). But once again, the acting star of the entire movie is Mr. Andy Serkis who puts his heart and soul into Gollum and gives possibly an even better performance during the amazing 10-minute riddle scene with Bilbo. The CGI nerds at Weta Digital work so brilliantly with Serkis' motion and voice performance that Gollum commands your attention every instant he's on the screen. I feel like I could watch Gollum for an hour straight and never get bored. Unfortunately I don't think we'll see much more of him in the next two films. What I loved most about this film is how from the opening sequence I felt totally comfortable that Peter Jackson was in charge. 9 years since the last Tolkien adaptation hit theaters, I viewed this first installment of The Hobbit as a homecoming of sorts. It actually brought me personal joy to see all the returning actors and familiar settings. Rivendell, The Shire and other locales were painstakingly re-created to look exactly like they did in the previous trilogy. Add in the fantastic musical scoring of Howard Shore and it really did feel like I was back at home in Middle Earth. Shore used all the right cues from his LOTR soundtrack to accompany his new composition. When the company visits the elven town of Rivendell, the ethereal elf theme plays. When we see the One Ring for the first time, the ring theme plays. And of course we get the fantastic Concerning Hobbits theme during the outdoor scenes in the Shire. I think the familiarity of the cast, locations and music all helped make the nearly three-hour run time go by much faster than I thought it would. Now this is not a perfect movie by any means. Some of the story is slow at times and there really is a lot going on to keep up with everything, but I really enjoyed this experience more than I thought I would based on other critic's reviews. This was simply a welcome return to the world of Tolkien with expert visuals and CGI by the best production team in Hollywood. I may be a bit bias but I have to give An Unexpected Journey 4.5 out of 5 JRs. I'm actually glad that there will be two more Christmas presents from Peter Jackson in the years to come. NOTE: I did see this movie in IMAX 3D with a 48 FPS projection. This is a new technology that Jackson is trying to bring to the big screen. At double the frames-per-second of the regular 24 FPS projection standard, the movie looked very clear but felt a bit off at times. At the very beginning it seemed that everything was sped up a bit and some of the clearer scenes look like they belonged in a soap opera. I don't think 48 FPS is the proper technology for motion pictures. I feel that the film lost its cinematic edge and the movie didn't really "feel" like a movie. I think this technology is perfect for documentaries shown in true IMAX theaters. I know Jackson will try to push 48 FPS with the next two movies, but I think I'll stick with 24 from here on out. David O. Russell is turning into one of the best dialogue directors in Hollywood. What I mean by this is that he seems to have a knack for both writing and shooting realistic and fresh verbal interactions amongst his characters in his films. Going to a screening of an Russell film you know you're going to get straight grounded dialogue that draws you into the movie. Russell's last effort was The Fighter in 2010 which ended up being my second favorite film of that year. Silver Linings Playbook picks up right where The Fighter left off by showing us another slice of tough suburban family life featuring a totally committed and talented cast. As a bonus, Russell adds in one of the best depictions on screen of what it's like to be a rabid American sports fan. Bradley Cooper stars as Pat Solitano, a bi-polar son of an Eagles-loving family in the suburbs of Philadelphia. Pat has just been released from a mental institution after having witnessed a shocking episode with his adulterous wife. As he tries to re-acclimate into society and win back the love of his estranged wife, he meets a beautiful young widow named Tiffany played by the uber-talented Jennifer Lawrence (Katniss from The Hunger Games). A solid supporting cast featuring Robert De Niro (in one of his more realistic roles in recent memory as Pat's football-and-gambling-loving father) helps round out the acting acumen and allows Russell to do his thing. As Pat tries to win back his ex he ends up becoming involved with Tiffany (who has a similar type of social disorder as Pat does). The drama of Pat trying to beat his illness and help Tiffany get over the death of her former husband is brilliantly set against the real-life sports scene of 2008 in Philadelphia. We get to witness a whole town get behind the Eagles playoff run (as well as a Phillies World Series appearance). The fandom is shown in full force within the Solitano household as hopes and dreams live and die with each Eagles game. Pat's dad continues to encourage him to watch games together but a fateful trip to an accurately-depicted Eagles tailgating becomes one of the major catalysts of the fim. Russell is able to weave a multitude of comical moments through genuine scenes of drama and true-to-life scenes of what it actually feels like to whole-heartedly follow your local sports team. Cooper gives his best performance as an actor to-date by a long shot. He comes across as likable, human and genuine as we see his flaws play out time and time again. Thankfully we get all of the comic timing he brings to his roles in Wedding Crashers and The Hangover mixed in with some major dramatic acting chops. His chemistry with Lawrence is spot-on and Jennifer once again gives a performance that is years beyond her young age of 22. I can see both of these actors getting Oscar nods next year and Lawrence really has all of Hollywood ahead of her. She has the most potential of any actress working today. What Russell, Cooper and Lawrence have created with Silver Linings Playbook is one of the funnier movies of 2012 and one of the best "rom-coms" I've ever seen. Simply put this is acting, directing and writing at an extremely high level and Playbook earns my fourth 5 out of 5 JR rating for this year. While you can probably wait for video on this (this movie does NOT NEED to be seen on the big screen) I would still recommend going to see it before awards season comes around. Especially if you are even a casual sports fan. Ang Lee, the acclaimed director of Crouching Tiger, Hidden Dragon and Brokeback Mountain has managed to adapt Yann Martel's best-selling novel Life of Pi, about a young Indian boy trapped at sea, into one of the most visually stunning motion pictures ever made. Working with of a cast of no-names (excluding the where-is-he-now Gerard Depardieu in a weird and worthless role), Lee manages to tell an epic talk of struggle, spiritual awakening and perseverance that is highly enhanced by the effective use of 3D technology. The movie begins with an older Indian man named Pi (Piscine is his given name of French origin but we see early-on why he decided to shorten it) telling the remarkable story of his life to a journalist. The bulk of the film is a flashback on the significant event in Pi's life, a shipwreck that takes the lives of his brother, Mother and Father and disperses a ship full of zoo animals in the process. Pi (played with remarkable conviction by Suraj Sharma) manages to survive the sinking freighter only to find himself stranded on a lifeboat with a hungry Bengal Tiger named Richard Parker (the origin of this name is rather humorous). We witness the struggle of Pi as he fights off hunger and Richard Parker himself during months of isolation at sea. The middle part of this movie reminded me of Cast Away on steroids. Outside of the surprisingly strong acting performance put forth by Sharma, the real stars of this movie are the visual effects geniuses at Rhythm and Hues who manage to create "this-can't-be-CGI" representations of a wide range of animals, from Meerkats to Zebras to Sharks and Orangutans. Having won an Oscar for 2008's The Golden Compass, R&H manages to out-do themselves with the quality of the computer effects used in this film. The animation of Richard Parker alone should seal an Academy Award nomination for this movie. As the second main character of the film, the CGI Tiger is a living breathing co-star to Pi and conveys a wide range of emotion that harkens back to the wizardry done by Weta Digital in animating Gollum in The Lord of the Rings. The key to the believability in the animation is all of the natural movements the animators give to Zebras, Hyenas and other animals that are in immediate peril as a result of the disaster at sea. Lee seems to be at home weilding the latest in 3D technology. He uses the depth of field effortlessly in depicting the isolation of the open water as well as the beauty of nature as a whole. I can see this film eventually being showcased on the Discovery Channel as a vivid showcase of both the visual splendor and dangerous aspects of the natural world. As an audience, we get to experience all of these amazing landscape visuals alongside of Pi through the total 3D immersion. It's hard to imagine a similar experience if this movie were to be viewed on Bluray outside of the theater. Life of Pi is a remarkable technical achievement that matches Avatar as the best use of 3D storytelling to-date. The immersive way that Lee places the audience directly in the scenery is extremely effective. I was not expecting this movie to be this good and I encourage everyone to see this in 3D in the theater (even Doe B. Kim). This is soooo close to a 5 out of 5 for me but due to some slowness early-on and a rather lackluster final few scenes, I have to give this a very strong 4.5 out 5 JRs. This is one of the best movies of the year without a doubt and probably Ang Lee's best directorial effort of his filmmaking career. There's no doubt in my mind that the best actor of this generation (and quite possibly the greatest actor EVER) is Mr. Daniel Day-Lewis, a consumate professional who puts his heart and soul into every single performance he gives. In his long awaited follow-up to There Will Be Blood, Day-Lewis shines yet again in an amazing portrayal of one of the most loved presidents in American history. In a first-time dream collaboration of Day-Lewis and Steven Spielberg, Lincoln tells the detailed story of Abraham Lincoln's political struggle to pass the 13th Amendment through the House of Representatives, effectively ending slavery and sparking an end to the Civil War. Instead of focusing on the entire life span of the 16th president, Spielberg and screenwriter Tony Kushner cover a few months of Lincoln's presidency which highlights the lobbying of wavering Democrats in an attempt to secure the two-thirds majority needed to pass the Amendment. Spielberg and producer Kathleen Kennedy have put together an amazing supporting cast that compliments Day-Lewis. Tommy Lee Jones (in one of his best performances in years as Thaddeus Stevens), Sally Field, David Straitharn, Joseph Gordon-Levitt (the hardest working man in showbiz this year), John Hawkes, James Spader and Hal Holbrook all add to the believability of the drama set in 1865. Spielberg does a fantastic job making every detail seem authentic to the era depicted. The obvious star of this movie is Day-Lewis. He completely embodies Lincoln from his folksy and spirited voice to the tall brooding way in which he carries himself beneath his trademark top hat. Thanks to an amazing job by the film's makeup artists, it only take a few scenes to forget that Day-Lewis is playing a character. He is simply unbelievably believable as Abraham Lincoln. This film has without a doubt the smallest amount of visual effects for a Spielberg-helmed movie. Spielberg instead uses a lot of long takes to showcase the amazing acting talent that has been assembled. The visual effects in this film are the actors themselves who deliver sharp lines of dialogue in a meaningful and precise manner. Spielberg is able to make politics seem actually exciting at times. Lincoln is an important film that should be seen by everybody especially on the heels of the spirited political election this country has just been through. I can't rate this movie higher than 4 out of 5 JRs however due to the extreme amount of political content that's served up here. Someone who can't get enough of the political world (*cough* Burt Hall *cough*) will be in heaven sitting through this film. Personally I found all the vote-lobbying rather overwhelming after a while. All of the insight into 19th century politics could not overshadow Day-Lewis, who dominates the screen every time he's featured and should be a shoe-in for yet another Best Acting Oscar award. His Lincoln comes across as a very likable president who helped the Republican party get off to a monumental beginning. After some budgetary issues at MGM Studios and a few scheduling snafus, we finally have another horse in the James Bond stable with Skyfall. Daniel Craig returns as Agent 007 in his third film, teamed with acclaimed British director Sam Mendes (American Beauty, Road to Perdition, Jarhead) and a variety of supporting characters including Javier Bardem and Brits Judy Dench (M) and Ralph Fiennes (finally joining the franchise he should have been a part of a long time ago). The synergy of the cast and crew helps make this 25th Bond offering a very entertaining film. The plot of the movie is centered around MI6 and a security breach by Raoul Silva (Bardem as an extremely creepy and disgruntled ex-MI6 operative) that puts the entire roster of special agents in danger. Bond must recover from an early near-death experience to track down Silva and avoid losing M in the process. There are references throughout the film to the history of Bond including classic cars, failed gadget ideas and even the age and relevance of 007 himself. A new batch of MI6 personnel (including a younger tech-savvy Q) help usher the franchise into a new era. There is definitely a sense of Bond: Reloaded in this movie. Overall Craig does another bang-up job as Bond and Bardem builds on his quirky bad-guy resume (No Country For Old Men). Mendes is in total control of the pacing and scenery and his cinematographer-collaborator Roger Deakins shoots some very beautiful scenes across the globe. Dench is amazing in this movie and gives a performance that one could argue deserves Oscar consideration. Unfortunately, this movie seems to be a little tame in scope and we just don't have the memorable scenes and raw gritty Bond moments that were littered throughout Casino Royale (by-far Craig's best Bond movie to-date). Don't get me wrong, I enjoyed Skyfall. I really did. It was far better than Quantam of Solace. I just think it's a little overrated right now. Craig and Mendes are a great pair and Bardem is game as a memorable villain As far as Bond movies go this is a pretty standard effort. We get a sprinkling of Bond Girls, neither of them very memorable. There are little to no new gadgets or technology to add to the overall story. The action is great though and Craig is right below Connery as one of the better Bonds to take on the role. I'm looking forward to the next Bond offering and hopefully Mendes is back to direct it. I just wanted a little more with this effort. Casino Royale remains as the best Bond film in my mind (mostly because of the spectacular and tense poker sequence) and I can only give 3.5 out of 5 JRs for Skyfall, a showcase for Dame Judy Dench and a solid reboot that sets up a slew of potential follow-on films. It's still worth seeing in theaters for sure but just don't expect the end-all be-all of James Bond movies. Man that Denzel Washington sure knows how to act. He's probably going to go places in this industry. There are only a few actors working today that will give you a solid performance every time they take on a role. I think these four D's are probably at the top of the list: DiCaprio. Day-Lewis. Damon. and Denzel. In Flight, Robert Zemeckis' return to live-action directing, Washington gets the Tom-Hanks-Cast-Away treatment in a story that revolves around a pilot's struggle to battle alcoholism. When Zemeckis commits to a character as he's done with Hanks (Cast Away and Forrest Gump), Jodie Foster (Contact) and Michael J. Fox (Back to the Future) it's usually done with a lot of thought and depth. Throughout the duration of Flight we are treated to a case study on personal battles, happenstance-heroics and the struggle to admit a problem. Washington is thrust into the limelight (where he is so very comfortable) as Whip Whitaker, a pilot for a fictional airline that uses heavy binge-drinking as a crutch to forget about a failed marriage and a failed fatherhood. Whitaker is totally hammered the night before he takes the fatal flight we've all seen in the excellent preview for this film. While the plane crash itself is amazing to watch and brilliantly filmed by Zemeckis and crew, the real meat of this movie is watching Washington cope with the repercussions of realizing he's turned into a hopeless drunk. John Goodman (as a Lebowski-esque stoner friend), Don Cheadle (as a calculating lawyer) and Kelly Reilly (as a fellow drug addict and love interest for Washington) all help lift up Washington's performance by making it more realistic. This is without a doubt the Denzel Show though and Washington is amazing once again in conveying addiction and delusional behavior. By the end of the movie we all feel the weight of the lies he has spun through the entire film and the realistic ending helps ground the characters in an inevitable reality. Zemeckis has delivered one of the best gritty looks into the world of addiction and it's great to see him back behind the camera and away from the computer (Polar Express). Washington will be up for Oscar once again and just may take home his third career award for this performance. Flight is one of the best movies of the year and marks Robert Zemeckis' most gritty and edgy movie to-date. A pleasant 4.5 out of 5 JRs for this one. Go out and see Flight right away. Rick Moore and Disney Animation (not Pixar) have whipped up an interesting concept with Wreck-It Ralph, a computer generated world of video game nostalgia that focus on the under-appreciated villains of the arcade scene. This film follows in the footsteps of the Pixar concept of making a movie that appeals to both kids and adults. I went to see this with two kids who are children of the PS3/Wii generation and were glued to their seats throughout, totally enjoying a video game world come to life. I found myself appreciating the movie for a different reason; fond memories of my own childhood, growing up with Nintendo and Atari. John C. Reilly lends his everyman voice to Wreck-It Ralph, a Donkey Kong style arch enemy of Fix-It Felix, the hero of his own game who ends up fixing all the damage that Ralph causes to an apartment building every time a kid puts the quarter into an arcade machine. We see Ralph's issues with being the bad guy and never getting any awards or acclaim. The movie opens with Ralph in a support group for villains including Bowser from Mario Bros., Zangief from Street Fighter and a ghost from Pac Man. Ralph ends up leaving the confines of the Fix-It Felix world, traveling from game to game in search of a medal that will validate his existence. In his journey he comes across a gung-ho military leader from a first-person shooter voiced by Jane Lynch, a misfit girl in a candy-themed racing game (Sarah Silverman) and Felix himself, voiced entertainingly by Jack McBrayer (30 Rock). The animators do a great job of building a believable and immersive video game world complete with 8-bit graphics and numerous nods to the genesis of computer gaming. Q-Bert himself appears as a lost character in a maze of games that have evolved and left him behind. I found myself extremely entertained by all the inside references to gaming. It's clear that the talented computer developers that worked on this film are gamers at heart and bring out their passion in their work. The only real issue I had with this movie is that it was slow at times in the middle and spent entirely too much attention on the candy-racing world of Sugar Rush. I would have liked to see other types of games parodied and explored. Fortunately, Reilly and company have fun with their roles and make the ride worthwhile nevertheless. With so much to explore in the history of video gaming, it only seems natural that we'll be seeing Wreck-It Ralph 2 sometime in the years to come. This movie is a visual feast and a must-see for us thirty-somethings that grew up playing Nintendo and Sega. A solid 4 out of 5 JRs for one of the best animated movies of the year. In this current cinematic age of reboots, remakes and general rehashing of story ideas, coming up with an original concept for a movie is a rare achievement. A truly unique and unconventional concept comes around every once in a while. We last saw it with Christopher Nolan in 2010 when Inception was released and thankfully we get to experience it again in 2012 thanks to Rian Johnson. Looper is a sci-fi time travelling masterpiece that takes elements from previous works and molds them into a truly original film-going experience for the audience. Johnson's Looper introduces us to a group of criminals who use time travel (which is outlawed in the future) to send certain individuals back in time to be murdered by "Loopers". The Loopers are responsible for shooting the individuals upon arrival and getting rid of their bodies. Joseph Gordon-Levitt plays Joe, a Looper who ends up face to face with his future self, played by Bruce Willis. Joe is supposed to kill himself to "close his loop" but Willis' Joe ends up escaping and the rest of the film focuses on the dynamic between the two versions of Joe and a sinister threat from the future. Johnson uses elements of time travel to show cause and effect between the two versions of Joe. Whatever happens to Joe in the present instantly affects the older future-version of Joe. The clever time-travel dynamics make this film so interesting to watch. The plot makes you think but is never over your head. What makes this movie work so well is the dynamic performances from Willis and Gordon-Levitt that make you really believe that they are the same person, just in different times in their lives. Kudos to the makeup and prosthetics team as well for making Gordon-Levitt's face into a believable younger version of Willis' mug. Emily Blunt chips in with a believable turn as Joe's love interest. I don't want to give away too much of the plot, but there is a kid in this film that is a key character, played by Pierce Gagnon. Gagnon's performance as a child actor is essential to the success of the overall movie. He does not come across as whiny or annoying at all and gives his character the proper level of authenticity. I feel if another child was cast in this role, the movie would have derailed towards the final third of the story. The ending of the film makes you think about the choices that Joe has to make in his life. I thought it was the perfect capper on a cerebral and inventive action film. Looper is an extremely well-paced and engaging movie that pushes the envelope in time-travel creativity. I cannot recommend this movie enough and I have to give it my third 5 out of 5 rating for 2012, putting it right up there with Dark Knight Rises and Prometheus as one of the best films of the year. Go see it right now! Another movie I saw this week was Sinister, a middling horror movie directed by Scott Derrickson using a mix of live-action scares combined with found-footage. Ethan Hawke plays the lead role as Ellison Oswalt, a struggling novelist who is looking to write his next horror-story masterpiece. Unfortunately, the paranormal events he is writing about are also terrorizing him and his family. This film had some good buzz so I was excited to see it first-hand, however there isn't really anything memorable about the film. There are some disturbing scenes throughout (including some seriously creepy scenes with kids in harms-way), but I just didn't find myself engrossed in the story to care that much. The effects are so-so and the use of found footage is well integrated into the story but it's something we've seen time and time again. Hawke is solid as usual but the supporting cast is below average, especially the annoying and forgettable performance by the unknown (and rightfully so) Juliet Rylance as Hawke's wife. 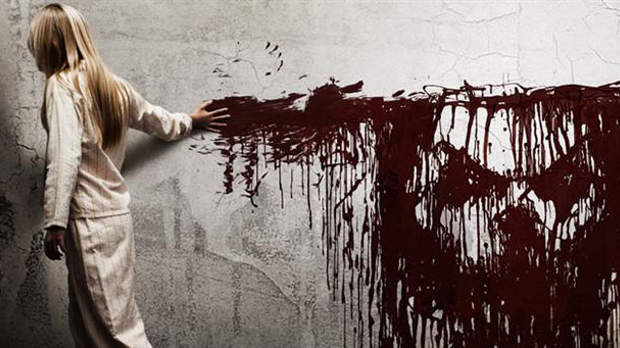 I was disappointed by Sinister and can only give it 2.5 out of 5 JRs. Wait for the rental on this one. Lots of good movies coming out soon including Skyfall and Lincoln. I also might take the kids to see Wreck-It Ralph (Disney's latest digital animation creation about video games).